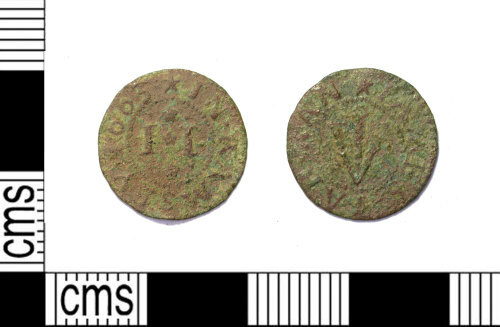 Post medieval copper alloy token halfpenny, 14mm in diameter and with a weight of 0.57grams. Issued by James Jarman? of Ramsey, 1663. Post Medieval Silver penny of the Commonwealth, 15mm in diameter and 0.57 grams in weight.